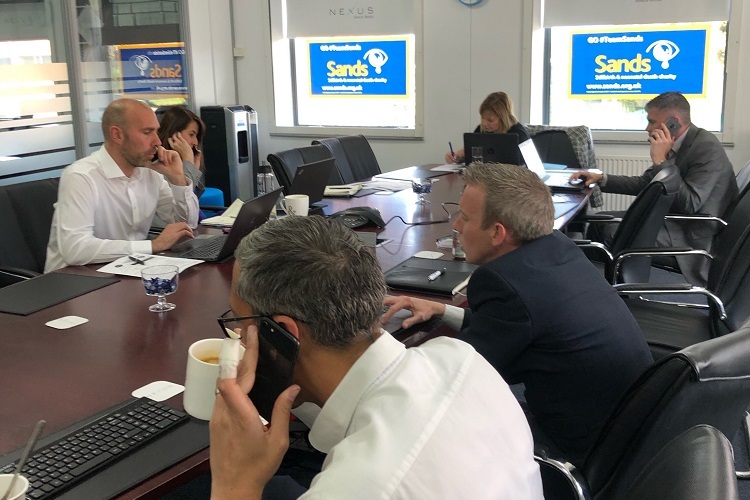 IT’S porridge time for vehicle rental firm Nexus its senior management team are locked in their office boardroom this afternoon. The 10 jailbirds are trapped with just their mobile phones and will have to earn their freedom by raising £500 each for the charity Sands. Sands is the leading stillbirth and neonatal death charity in the UK and supports anyone affected by these issues. They work with healthcare professionals to ensure families receive the best possible care, and fund research that could help reduce the number of babies dying before, during or shortly after birth.